Binoculars are just two telescopes mounted side-by-side, and although there is agreement on when the telescope was invented – early 1600s – it’s unclear who put two together to create a 3-dimensional image. Presumably, it was not long after the first astronomer tired of squinting through one eyepiece all night. The technology behind binoculars and telescopes has not changed radically since their invention, and the same premise that keeps the Hubble Space Telescope working is also tucked inside even a child’s pair of bins. Zeiss has lavished attention on nearly every detail of the 10 x 42 Conquest HD 524212, making it our clear Top Pick. Its comfortable ergonomics make it easy to cart around, even at 1.75 lbs., and it’s easy to focus while wearing gloves. It’s waterproof and nitrogen-purged, giving you the security to take it outside even in a downpour. Bright images, even in low light, come in sharp focus and clear color, providing you with powerful optics in a relatively lightweight package. 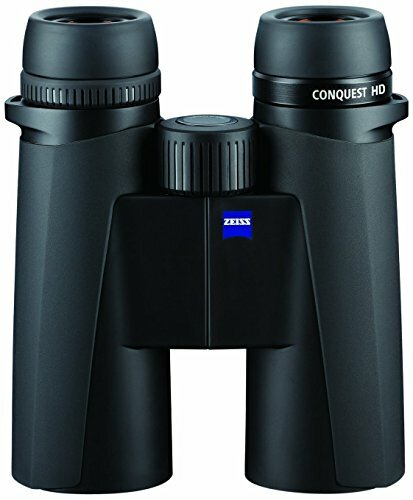 Zeiss is known for its bin quality and this model is another example. The only complaint, albeit minor, is that the lens overs tend to fall off, but users are so wowed by the view that they barely notice. 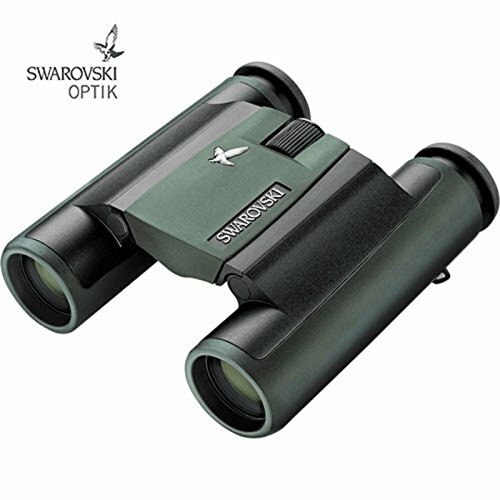 The Swarovski CL Pocket 10 x 25 offers excellent image quality for any binocular, but truly astounding quality when you remember how small they are. They will easily fit in your pocket but will still give you the clarity you expect from a larger bin. Plenty of light gets in, meaning accurate colors and sharp focus. Swarovksi’s attention to design detail means terrific ergonomics, and you will be more than satisfied with the eye relief whether or not you wear glasses. Will you get the field of view that matches your 42mm lenses? No, but if you think it can’t be worth it to spend this much on a pocket binocular, think how much more often you’ll use them because they’re so much more portable than your regular-sized ones (which you won’t regret leaving at home). These Celestron 71454 Echelon 20 x 70 binoculars are an exceptional buy. With an objective lens of 70mm, they are ideal for far distant or night sky viewing. Designed to be used in low light, the Bak4 prisms and 3.5mm exit pupil help provide maximum image sharpness and clarity with very little fuzzing or blurring at the edge of the focused object, plus each eye has an independent focus for still greater clarity. They are waterproof and nitrogen purged so you’ll never have to worry about lens fog or damp intrusion. They are hefty, at just over 4 lbs., but are also tripod adaptable. Throw them into the included hard-shell protective case, take them outside at night, and you’ll be able to spot Jupiter’s moons and Saturn’s rings. They are somewhat less than ideal for bird watching, with the separate focusing for each lens, but if you’re in the market for a Hubble telescope in your hand, these are the obvious choice. Canon’s image stabilization technology generates a love-hate relationship which is on display with the Canon 12×36 Image Stabilization III binoculars. Users love that with the press of a button, all of your tiniest hand trembling is accommodated, leaving you with a sharp and steady image. But many hate that you have to continuously press the button for the feature to remain on – why doesn’t it stay on until you turn it off? Overall, the picture quality of these bins is only adequate, not rave-worthy, and leads you to believe that Canon expects the IS technology to replace a better optical design. But the most vocal complaints are about the grips, which disintegrate quickly and leave you holding a decaying, and sticky handful of binocular. Canon is unresponsive to this, causing many users to leave these binoculars languishing on the shelf and shopping for a replacement. Unless you’re in the market for expensive, disposable binoculars, you’ll want to avoid these. The JSB 7 x 50 4331884803 binoculars are an intriguing item. Built to “military standards,” not only are they waterproof and fog proof, but they also contain a rangefinder and a compass, plus they float. With a large field of view (375/1000), a giant exit pupil (6.8mm), and a very long eye relief (22mm), they should be a standout product that would serve you well in your backyard, the north woods of Maine, or trapped on a deserted island. But overall, they just seem a little . . . sketchy. The owner’s manual is for a different product and, despite being labeled as “image stabilizing,” they contain no such technology. You’ll also struggle to learn anything about the manufacturer that isn’t already stated in the description provided – in broken English. If they weren’t so expensive, they might be a fun gag gift for a guys’ weekend of hunting and paintballing, but otherwise, we would not recommend them. You probably already know the basics of binoculars – magnification, lens diameter, field of view, and eye relief. What should you be thinking about next? 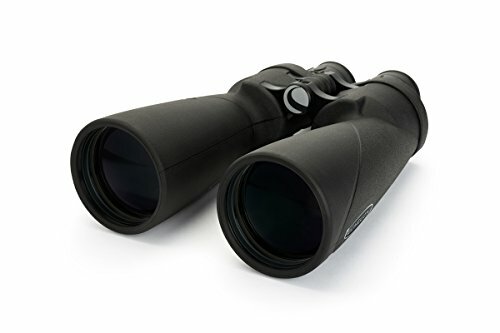 At this price point, you can purchase some serious magnification, allowing you to use your binoculars for stuff like planes overhead, the space station orbiting, and even stars and planets. Some bins are even labeled as being designed for astronomy or star gazing. This is a good thing, right? Well, yes, of course, if looking into the heavens is your intent. Just remember, at magnification levels high enough to see the man on the moon, you’ll not be able to hold it steady enough in your hand to use it. Sure, you can lean against a deck railing or a tree, but when your arms get tired, you’ll want to be able to mount it on a tripod. Make sure your bins are tripod adaptable . . . and you have or purchase a tripod to go with them. The question becomes – what are you going to use them for? Do you want something with a permanent “infinity” focus, so you can look at stars and planets, or out to sea, or at some other distant but fixed point? Or do you want to watch birds, animals, or football players as they fly and run around, all of which will require you to adjust focus and track movement? If you’re shopping in the $500-$1,000 range, you’re a serious bin user. These won’t be gathering dust on a shelf – you’ll be using them frequently. Keep an eye on the weight, because at this level of optical power, sometimes you’re going to have to cart around another pound or so of glass and optics. That won’t seem like a lot out of the box, but it will after you’ve been entranced by a bald eagle for several minutes. One more thing to “keep an eye on” as you shop is the focusing mechanism. Especially with the sky or star gazing models, you might need to focus each eye independently for greater clarity. That’s not a problem for bins set on a tripod out on your deck and always focused on the spot where the local whales breach, but it’s going to be inconvenient if you’re walking and birding or watching a soccer game. By the time you get each eye focused on a middle distance, the action will have passed you by. The Zeiss 10 x 42 Conquest HD 524212 is our Top Pick. Excellent optics, comfortable ergonomics, and rugged durability combine to give you the best viewing experience no matter where you take them. 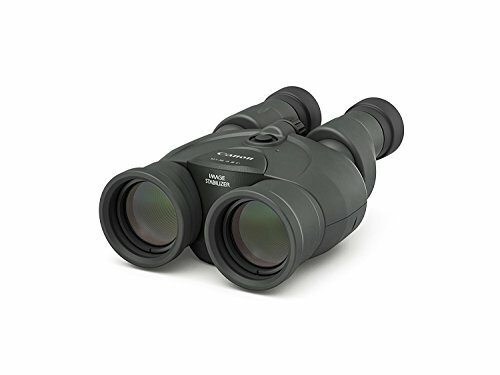 If you’re focused on your bottom line, you can’t go wrong with the Celestron 71454 Echelon 20 x 70 model. With optimal image sharpness and clarity even in low light, these are like a portable telescope, ideal for taking outside at night in dark sky country. As you learn more about high-quality binoculars, you’ll start to understand why people talk about owning multiple pairs – you’re approaching the blurry line between binocular and telescope and it’s tough to find one pair that can be both. 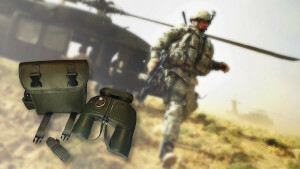 We hope our reviews brought these issues into focus and help you find the right binoculars for you.